Happy 15th Birthday to GPL! It was on this day, back in 2003, that GPL was created! It was not actually Gopher Puck Live back then. The first few months it was just a message board that I hosted on my family website. I created the message board because our favorite Gopher website at the time, PrideOnIce.com (POI), was down. That site went down during the Frozen Four in Buffalo as our Gophers were going back to back. Matt & Kyle Baron, the guys behind that site were IN Buffalo and could not do anything to fix the problem. I created a temporary message board so the POI users could have a place to chat during the Frozen Four… I figured that once the Baron boys got back, POI would be back up and that would be the end of the temporary message board. But a few people kept using the site. Mostly because I was posting highlight videos from Gopher games on the site. In August of that year, I bought the domain GopherPuckLive.com and started using it to host those videos. This was before YouTube. The site had a small following. That following went up quick when I posted the famous Danny Irmen penalty shot video against Wisconsin on GPL. But that same video for the attention of the big wigs at Fox. They were not so happy about my videos and forced me to take them down. I think that would be next to impossible to do these days with YouTube. Then on February 11th of 2005, Matt & Kyle Baron decided that they were done with PrideOnIce.com and closed down the site. The farewell message on their site told users to come over to GPL. And that is exactly what they did! Ryan Cardinal and Jeff Oftos were our main writers for GPL back then. During the 2006 season, we started getting media credentials to cover the games at Mariucci Arena. We have been credentialed ever since. A few years later both Ryan & Jeff moved on to other things and our current writers, Eric Vegoe and Chris Eckes took over. But Jeff will still fill in from time to time. It’s all due to those guys and their writing that has put GPL on the map! These guys volunteer their time for GPL. A lot of your donations have done directly to them, but it is still a tiny portion of the effort they have put in to this site. Thank you guys! In 2011, we started the GPL Podcast just for fun! That has turned out to be a fun experience. We are just finishing up our 7thseason for the podcast, over 130 episodes that have been listed to live or downloaded over 37,000 times! Can’t thank our many guest enough… But at the heart are my co-hosts, Hammy & Vegoe, along with Cardinal back in the early days. It’s been a blast! At GPL, we do not always report on the obvious stories. Like the Lucia departure. That is covered by the main media and there is really not a lot we can add. But we do have special reports that we love to cover. Like the Eric Vegoe tickets scanned stories over the years. 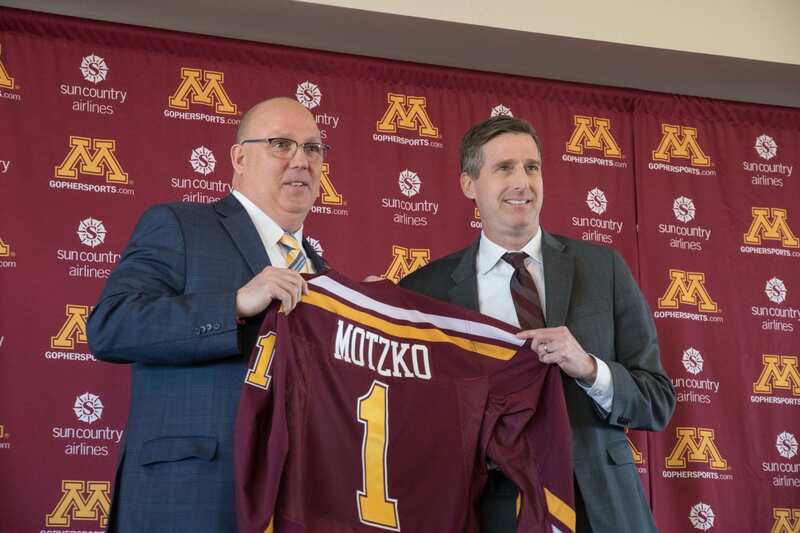 This is something that no one else in the local media is covering for the Gophers. We hope to continue to get you great stories like that in the future! All in all, it’s been a fun journey! 15 years went by very fast! How much longer will it go? I am not sure. It all depends on what I want to do. I would love to have someone take over the technical aspects of the site, so I don’t have to worry about it. That would allow me to just take photos at the games and host the podcast only. But we’ll have to wait and see what happens. There are guys like “Greyeagle” and “Bert” that have been moderators on the message board from day one. Can’t thank them enough for volunteering to do that work! Most of all, I need to thank all of the users of GPL! Those of you that come to GPL on a daily basis to talk Gopher Hockey and a ton of other topics. It’s the love of college hockey that had brought you all together. Thanks for 15 fun years gang!